If you’ve ever tried to make your own chocolate confections at home, then you know how fickle chocolate can be. Indeed, working with chocolate should require a college degree in chemistry. It’s all about choosing a good quality chocolate, precise temperatures and most importantly, patience, patience, patience. Making your own confections is a lot of fun and it’s a great way to gift the people in your life with something delicious and unique. Homemade chocolates make great gifts for family, friends, co-workers, even those who are most difficult to shop for. You need to know a few things before you embark on this adventure, but the results are truly rewarding. 1) Use low heat. Chocolate is very delicate. High heat causes the chocolate to heat too quickly. 2) Do not overheat as this will cause the chocolate to scorch. If the chocolate scorches, it changes the taste and consistency. 3) Stir chocolate constantly. This is especially important with milk and white chocolate. 4) Burned chocolate becomes grainy. 5) Never add water or let water come in contact with the chocolate. Water is chocolate’s biggest enemy. 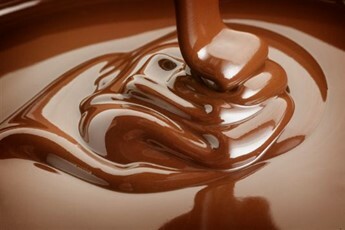 When water or even vapor gets in the chocolate, it causes the chocolate to seize and become hard and lumpy. 6) If the chocolate does seize, add a tablespoon of solid vegetable shortening to try to salvage it. Don’t use butter as it contains water. 7) If you think you melted the chocolate just the right amount, chances are you overheated it. Remove it from the heat immediately and transfer the chocolate to a cool metal bowl to allow the chocolate to cool quickly. There are two easy methods to melting chocolate that I like to use myself. This is the quickest method, but it’s the one with the most room for error. The reason for that is that there is a tendency to overheat the chocolate in the microwave due to high temperatures. This is especially true for white chocolate. The best way to avoid this is by taking your time and watching the chocolate carefully. -Break your chocolate into small pieces. Don’t try to melt it all at once. Do it in batches. Place chocolate in a microwave safe bowl. I like to use a glass container. I avoid using plastic as the plastic sometimes will affect the taste of the chocolate. Place in microwave and heat for 1 minute. Remove from microwave. You will notice that the chocolate has retained its shape. At this point, make sure to mix it thoroughly. If the chocolate needs more melting, heat in increments of 30 seconds. Don’t let the chocolate completely melt in the microwave. If this happens, the chocolate has overheated and may even taste burned or scorched. It’s better to allow the chocolate to continue to melt outside of the microwave by mixing it. The melted chocolate will help to melt any pieces that have not melted. This method takes a little longer but it’s worth the time because you will be able to control the heat better. You can melt your whole batch in this case, but I recommend not melting more than 1lb. at a time. Break your chocolate into small pieces and place in the top pan of the double boiler. Fill the double boiler with about 2 inches of water, making sure that the water will not touch the top pan which contains the chocolate. Place the top pan with the chocolate on top of the pan with the water. Use a spoon to mix the chocolate. When using a double boiler, it is recommended that it be removed from the heat before placing the chocolate on top. It is very important to keep the water away from the chocolate. As I mentioned earlier, water is chocolate’s biggest enemy. Even the vapor from the double boiler could potentially cause the chocolate to seize. If you need more heat to melt the chocolate, you may then simmer the water and place the chocolate pan on top once again. Do this until your chocolate is completely melted. These tips will surely help you melt chocolate appropriately and safely. Remember that working with chocolate is a test of patience and perseverance. If you scorch some chocolate, don’t worry. Throw it out and start over.